One of the truly interesting parts of Cape Town are the Townships. A legacy of the racist Apartheid system and intriguing suburbs now full of growth, with incredible stories attached to them. 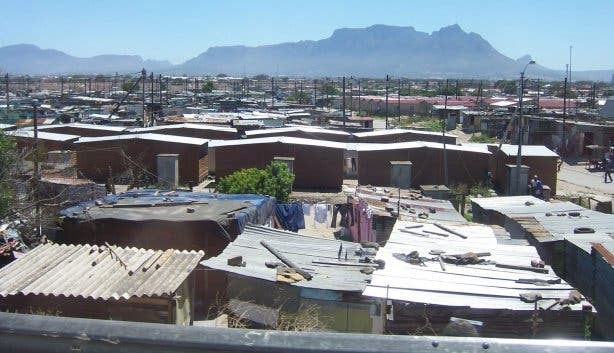 Most Townships of Cape Town are situated on the 'Cape Flats'. 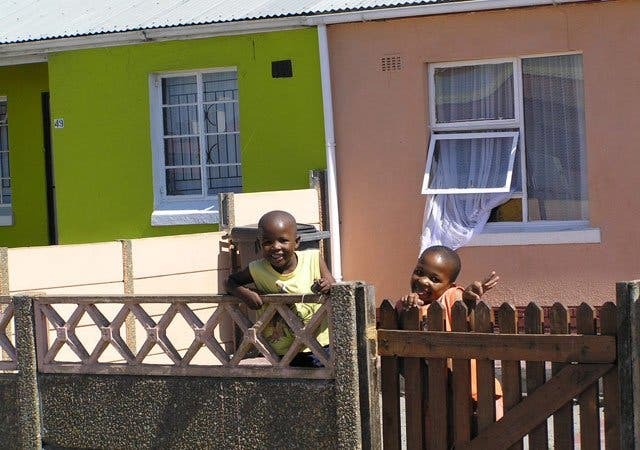 Best knowns Townships in Cape Town are Khayelitsha, Guguletu, Langa and Nyanga just outside Cape Town city, Imizamo Yethu Township in Hout Bay and Khayamandi in Stellenbosch. Visit the 'coloured' communities of Montana, Crossroads, Heideveld to get the stories of Apartheid life in these areas, set up to be buffers between 'white' and 'black' during Apartheid. 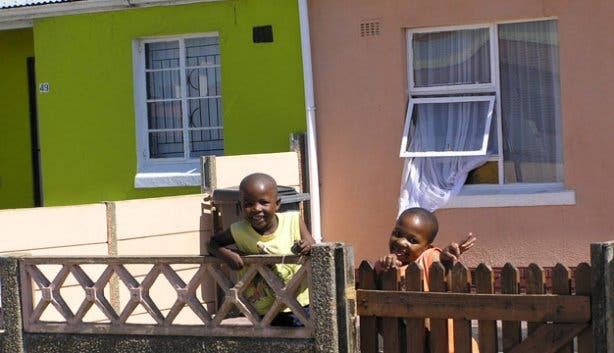 Although sometimes a local friend might take you, we who go regularly for sundowners or to visit friends or projects, it is best for tourists to take a township tour to Khayelitsha, Guguletu or other townships. We selected some impressive township tours and guides to give you an incredible experience. Stay overnight, have lunch, visit a local shebeen, drink traditional beer, visit projects and meet impressive people, visit local markets, shops, pubs and houses of people to be their guest in showing the vibrant part of Cape Town that sometimes actually has a lot more character then most other places in Cape Town. We more then happily arrange for you to find an excellent Township Tour in Cape Town. Some township tours start in Bo Kaap (or Malay Quarters) in Cape Town, since under the official description of Townships the -mostly muslim- area falls under 'Townships'. You will find out why. Then the township tour starts in the colourful Bo Kaap and visit the District Six Museum. Buy arts and crafts, as souvenirs of this amazing place, probably the most amazing area in Cape Town. Next, witness everyday life in the townships of some of the Townships, visit Langa's Ma Neo, Fani's or its sangoma's, the Guguletu Seven memorial or Mzoli's butchery in Gugs, and Lookout Hill, possibly Poppy's or Kefu in Khayelitsha. Meet traditional healers or sangomas and traders, stop at the local markets, have a drink at a shebeen and see what role the church plays in the community. Everyone should not think it's 'wrong' to do a township tour. People that did not do a township tour say this. Do a township tour and find out why doing a good township tour might just make your stay in Cape Town memorable. Then you know why staying in a Township B&B in Cape Town is becoming more and more 'normal' and popular. Another really unique tour is the township soccer tour. This is a great interactive tour for anyone who loves football. Start of Township Tours in Cape Town usually around 8h15 or 8h30. You can do a half day township tour fpr the price of R280 or a full day township tour for the price of R490. A township tour including dinner and an overnight stay at a Township B&B will only cost you approximately R750 pp. Contact us per e-mail before arrival to reserve your township tour or township stay or phone our central reservation booking number +27(0)78-686 7505 when in Cape Town for good township tours in Cape Town. See some of the Mother City’s attractions, like the bustling township of Langa via an eco-friendly train trip or visit a church with a gospel tour, from a whole new perspective with Camissa. Are you ready for the epic re-launch of KwaAce in Khayelitsha? Looking for a fun event in the area? Come party at Rocktober Lifestyle. Khayelitsha's New Upmarket 3-Story Venue: The Milk Restaurant & Bar.